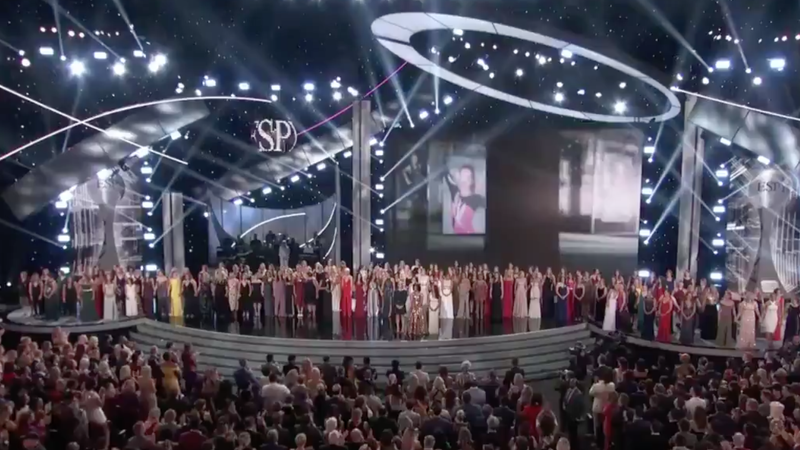 More than a hundred women and girls who suffered sexual abuse under the care of Dr. Larry Nassar assembled onstage at the ESPYS Wednesday night as the survivors were honored with the ceremony’s Arthur Ashe Courage Award. Jennifer Garner presented the 140 survivors with the award, per People, which in previous years has been given to Robin Roberts, Michael Sam, and Caitlyn Jenner. Three of the women—softball player Tiffany Thomas Lopez and gymnasts Sarah Klein and Aly Raisman—spoke about their experiences with Nassar, who is in prison, and about their collective efforts to come forward over the years. “To all the survivors out there, don’t let anyone rewrite your story. Your truth does matter, you matter, and you are not alone,” she said.